A new study has found that increasing numbers of tourists and scientific expeditions bringing some unintended consequences to Antarctic's pristine but exceedingly fragile environment: the seeds of potentially invasive plants. Climate change is projected to render the frigid continent even more hospitable to such invaders in coming decades, according to Steven Chown, an environmental scientist at Stellenbosch University in South Africa. Recently, Chown and his colleagues conducted the first continent wide assessment of the risk of invasive plants. In late 2007 and early 2008, the researchers inspected the travel gear of more than 850 scientists, tourists, support personnel, and ship's crew (with their permission). That's approximately 2% of Antarctic visitors during that period, Chown notes. Using vacuum cleaners at the visitor's first stop on the continent, they collected almost 2700 seeds from equipment including outerwear, footwear, day packs, and camera bags. Although about 20% of tourists had unwittingly carried seeds to Antarctica, more than 40% of the scientists and support personnel at research stations had brought botanical stowaways—and more than half of the scientists doing field research and tourist support personnel, such as tour guides, harbored hitchhikers. On average, tourists each carried two to three seeds, while scientists each carried six. 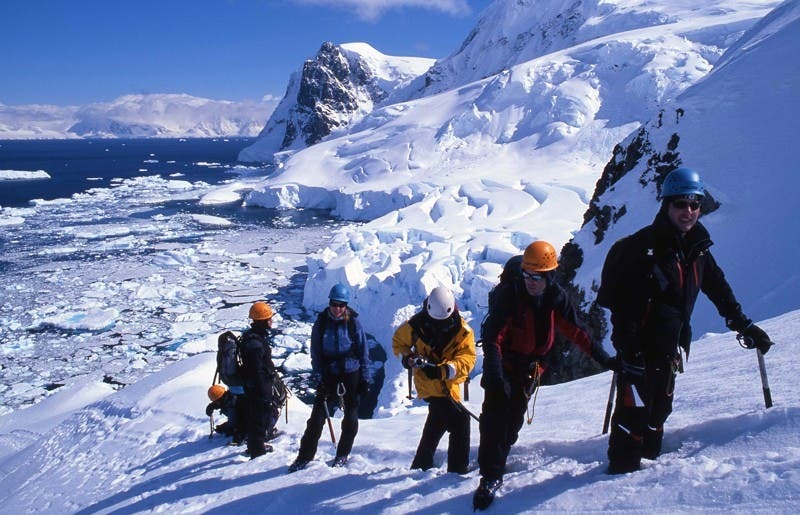 However, the annual number of tourists now far outnumbers that of scientists—about 33,000 tourists to about 7,000 scientists in the 2007-2008 Antarctic summer. As a result, tourists and scientists likely pose similar risks overall to Antarctica, Chown said. Chown and his colleagues reported online in the Proceedings of the National Academy of Sciences. Analyses of the types of seeds gathered, together with information from questionnaires about the visitors' travel habits in the year before their Antarctic visit, suggest that between 50% and 60% of the seeds reaching Antarctica arrived from areas with similarly cold climates—and therefore pose a threat of gaining a foothold. Based on the nature of these foreign species and the present climate of Antarctica, the areas at highest risk are the Antarctic Peninsula coast and surrounding islands, the study said. According to climate projections for 2100 from the UN's Intergovernmental Panel on Climate Change (IPCC), invaders may also take root in the coastal, ice-free areas to the west of the Amery Ice Shelf and, to a lesser extent, in the Ross Sea region. In the interim, there are a few inexpensive and easily implemented measures that visitors can take to help stem the tide of invasive species, Chown says. Tourists can clean their equipment thoroughly, including vacuuming their gear bags and emptying the pockets of their outerwear, especially if they've recently visited arctic or alpine environments where they could have inadvertently picked up seeds of cold-adapted plants. Also, scientists can pay attention to where cargo destined for Antarctica is stored, especially if it's been stored outdoors. Sometimes, Hulme says, researchers get the most out of their investment in cold-weather gear by using the equipment in Antarctic fieldwork half the year and then transporting it to arctic environments, where it can easily pick up stowaway seeds. Chown and team also plan to present their work to the Committee for Environmental Protection of the Antarctic Treaty. Polar ecologist Peter Convey said the study "provided objective assessment that both governmental and tourism operations in the region pose significant risks."